Have you ever felt like you couldn’t commit to going to gym regularly for heavy exercising despite the fact that the gym is only 5 minutes from your home? Probably yes, at least for the average Jo. You start going to the gym then you quit, and the process continues. However, biking is one thing that most people have been able to continue, especially since they can often give a more rounded and more beneficial full body cardiovascular exercise than lifting weights. This is because they exercise your whole body together, and as such if you skip a day or two it won’t throw your routine out of balance. Here in this article we are helping you with different types of exercise bikes available as major categories that can be used as indoor exercise bikes to meet your fitness goals. Biking for about 20 minutes can often be better for you than an hour long session exercising one particular part of your body. Biking from the comfort of your home has become even more popular, many people opting to keep one such machine in their room itself because then you have the ability to multitask. Listening to music is common while biking, having a bike at home can also allow you to catch up on that show you’ve been hoping to watch or catch segments of news on the TV. This multi-tasking capability as well as the fact that there are different types of exercise bikes, now readily available in the market has made it a popular choice that can be used by the masses. It is crucial that of all the bikes available in the market, you buy the type of bike which best suits your particular needs. So here’s a list of the different types of exercise bikes out there, to help make that decision just a little bit easier for you. These are generally the best selling and most popular bikes out there for a variety of reasons such as – simplicity, low cost, and low space requirements. By simplicity I mean that it is almost like a ‘real bike’, the kind people might use on the Outdoors. It even exercises the same muscles as those, the legs and the calves. The upper body can be exercised a little by leaning in and really grasping the handlebars. These don’t have complicated features, though most can offer you the bare necessities like distance traveled, and rpm. Some even offer resistance changing and distance courses. These also take up little space, as compared to full-fledged exercise bikes. As people living in the cities often don’t have a lot of space in their apartments to give a Bike, so these are quite popular. These come with back supports, and so feel like chairs with pedals attached on the front — instead of the back as in most bikes. These are great for those who like leisure cycling, perhaps while reading a book or so. However, these eliminate all forms of upper body work out and exercise slightly different muscles even on the lower body. Read more. These are ideal for full body workout sessions. They exercise the legs as the regular bikes do, however, they have movable handlebars, which, like elliptical trainers, move back and forth as you pedal, thus exercising the arms and the upper body, along with the Cardiovascular exercise. They, sometimes, also incorporate fans that can offer resistance or can be used to cool the biker during longer sessions. These have gained popularity in spin sessions because they are a lot like upright bikes, however, they offer an even more “real-bike” feel with the help of a chain-driven pedaling system. These offer a much more intense workout session. These are, generally speaking, extremely simple and basic without electronic meters and consoles. These bring technology to ready interaction with a healthy workout. These can either take the form of entertainment to distract the rider from their stress, with in-built televisions and stereos, etc. Alternatively, they can come equipped with interactive workout programs which help the rider enhance the quality of their workout sessions. For example, these come with computer modules that optimize your endurance training or weight loss or whatever your individual needs may be. 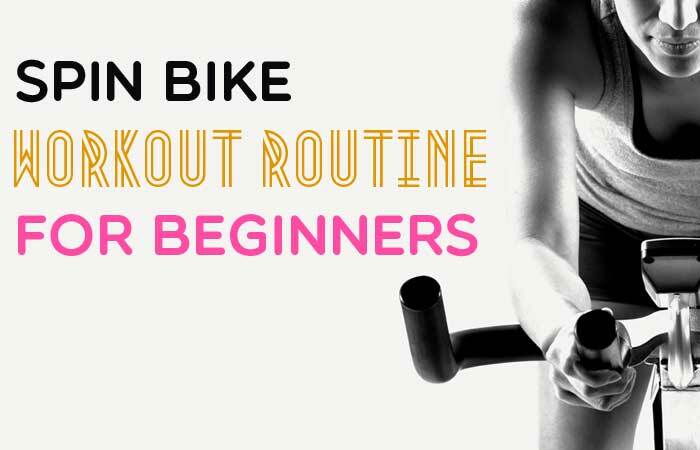 While these are all just very basic details about the different types of exercise bikes available to you, it should be enough to give you a working idea of what you’re looking for.